Olivia Culpo was out in Miami, Fl this weekend for the Sports Illustrated celebration and on Sunday(July 15th) she attended a brunch for the magazine which was hosted by PARAISO Fashion Fair at the W South Beach. 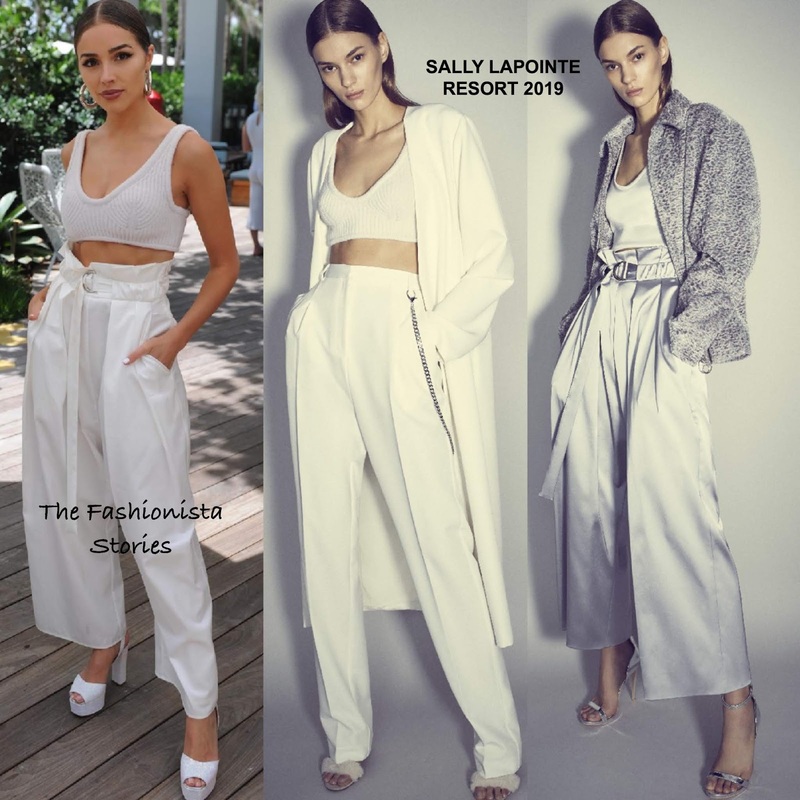 Doing her signature pose, she wore a SALLY LAPOINTE RESORT 2019 ensemble which featured a white boucle knit crop bralette and white cotton silk-pleated, high-waist culottes with a belted waist and side pockets which she utilized. Staying on tune with the hue of her ensemble, she wore white GIUSEPPE ZANOTTI platform sandals which topped off her look along with JENNIFER FISHER jewelry, a colored lip and a center part hairdo.